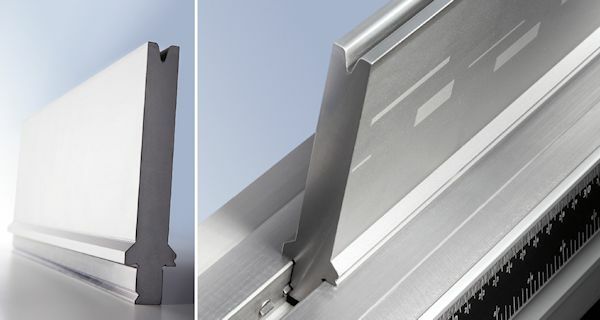 home » Press Brake Productivity » Knowledge Center » F. WILA New Standardƒ bottom tools provided with V-Lock®. The V-Lock® feature makes it possible to further improve dies positioning. A precision ground groove at the back of the dies is used to automatically align dies in X and Y axis directions, and to firmly clamp them in place. This prevents tools from sliding or being pulled upwards during the bending process. The V-Lock® feature helps to significantly improve accuracy and safety in bending. Being able to accurately position and securely lock tools in position is also a very important factor with the increasing use of automation.